June 29: 5 POWER Lessons From 5 Leaders Who Made History On This DAY! At some point of time in our journey, we feel that we cannot proceed forward without guidance and sometimes we feel there is no one to guide us. To all those aspiring achievers, here is something that can guide you throughout your journey. Read on! We all know that life is unpredictable. Nothing is under our control. Nothing happens according our wish and will. Dreaming is our right but commanding our life according to our dreams cannot happen. Rather than just wishing a dream in your life and guessing about what’s next, you can shape your life and mold it however you want. Always remember that future is like wet clay without a specific shape which is purely undefined. So, you can give yourself a wonderful opportunity to create a model out of this wet clay and color it with your dreams. Life is wonderful when your future gets carved by you. When we are already aware of the fact that life is suspense yet a surprise, there is no point in expecting and predicting the next minute. But, creating it surely changes your life. 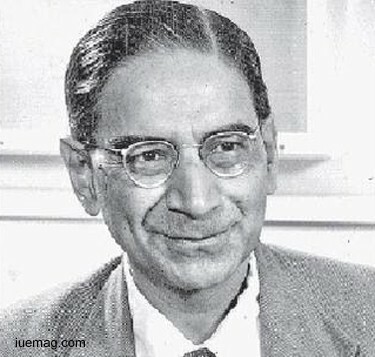 Prasanta Chandra Mahalanobis was an ordinary person just like others before becoming India’s renowned scientist and applied statistician. Without predicting where his life would take him, he created his destiny by the smallest incidents which happened in his life. He missed a train and this small incident created his life. He stayed back with a friend and grew up to found the Indian Statistical Institute. He pioneered studies in anthropometry and took an interest in cross-country walking; he discovered the utility of statistics to problems in meteorology. Many people feel that any challenge in our life leaves our life in darkness. Never judge or arrive at conclusions by measuring the situation superficially. Look deep into whatever happens in your life. See if you can understand why it happened and the impacts which were created. Everything happens for a reason. Every challenge is a lesson for life; every adversity which you get to face is a test that life has to offer you. The real winner is not the one who effectively faces and chases the adversity away. But, the one who learns from the adversity and implements it to better his life ahead is the true winner. You can either confine your adversity to a mere test or broaden your perspectives in regards to it by considering it as a lesson. The choice is all yours! 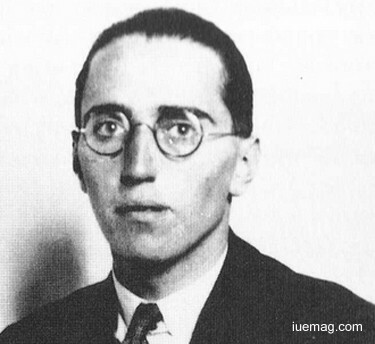 Alan Blumlein was shaken by adversities in his life but he learnt from his the challenges. This helped him deal with his future and become the reason for many inventions in telecommunications, sound recording, stereophonic sound, television and radar. The English electronics engineer held 128 patents and left the planet at just 38 years. This simply proves age doesn’t matter if you really desire to achieve. More value is added to sweetness when you’ve tasted something bitter. You will automatically start enjoying the essence of sweet only when you know what bitterness is. At this point of time, ask yourself if you have to thank bitterness or complain about it. Think about the role it played in your life; it made you realize what sweetness is all about; it also helped you differentiate between tastes and also taught you the value of it. Same is the case with life and its reality. Only when you have an obstacle in front of you, you will activate the sleeping potential of yours to overcome whatever is stopping you to proceed. A struggle to face a problem or a challenge is purely a collection of your willpower, strengths, commitment, perseverance, dedication and urge. All of it would remain fast asleep forever and you wouldn’t get any chance to show who you are the world if you hadn’t got an opportunity to put them across. This opportunity is nothing but struggle. Joseph Ressel was a forester and inventor who designed one of the first working ship's propellers. Coming with ideas to implement your thoughts is not easy. It requires struggle and wait. Only because he met these requirements, he could receive a propeller patent. 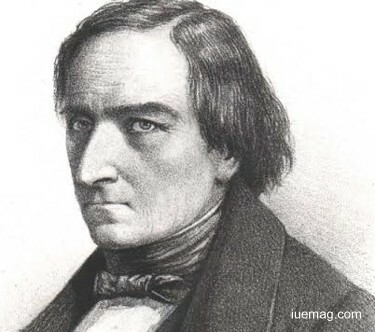 He was later called the inventor of the steamship. The forester started by supplying quality wood for the Navy. Your life is in itself, a vast universe. Our planet and everything in it are controlled by the divine master called the purest form of spirit or consciousness. This spirit or consciousness is what makes the life in us. Hence, the entire universe in it functions according to our soul’s direction. But getting the power to direct is not easy at all and life is all about getting this immensely great chance. We got to look for it, work for it and earn it. But the most exciting part is that it all happens right within you. Any reason, answer or a lesson for that matter reside in us. First step for looking for things within you is to believe that what you are looking for is all there within you. William James Mayo trusted his abilities, capabilities and potential and depended on himself during his journey. 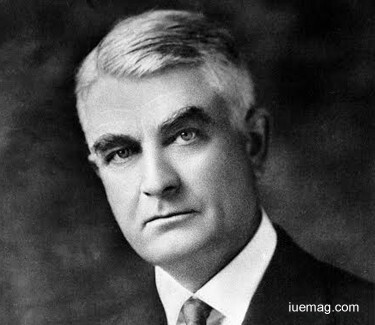 The physician and surgeon was one of the seven founders of the Mayo Clinic. He had the power to transform his passion as a medium to serve the world. He engaged himself in treating patients who were victimized by attacks. In this way, he chose to take the practice towards an objective of not-for-profit. Complications are everywhere! Even a child’s life is not simple. With growing world globally, we sometimes complicate what’s simple. These complications, quests and riddles which life offers us often hold us back and create a feeling of hesitation. This makes us to not take up the arriving opportunities and work on a new idea. Since, the term challenge in itself frightens us to an extent where we stop our on-going lives to create a different way of leading it, the one and only solution to witness growth and progress in your life is to give a kick start to make all your dreams come true. Remove all the doubts and purify your mind from all the negative vibes and retards. Start with a positive mindset. Asking such questions even before starting and knowing what it is all about discourages your entire life from ripening. George Washington Goethals feared not about difficulties and hurdles which would creep into his life but feared about not accepting them positively. 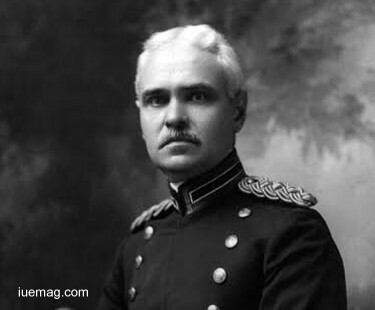 Filling his eyes with hope, the United States Army officer and civil engineer was known for his administration and supervision of the construction and the opening of the Panama Canal. It is certainly not easy to flourish in a domain of design and construction for a person who served the army unconditionally. But he started not by preparing or fearing but by optimizing his mind. Also, Goethals Bridge was named after him as a token of respect. Never lose hope because good days are yet to come. If they do not then you can surely create them, as by the end of this read you would have learned what it takes to knock the doors of success and invite it into your life! Any facts, figures or references stated here are made by the author & don't reflect the endorsement of iU at all times unless otherwise drafted by official staff at iU. This article was first published here on 29th June 2017.